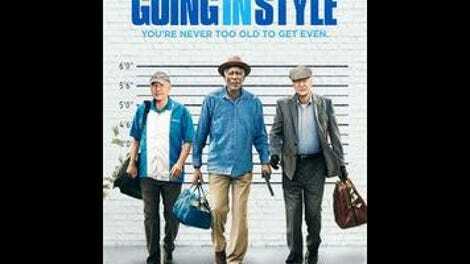 In the mushy geriatric yuk-fest Going In Style, Michael Caine, Morgan Freeman, and Alan Arkin decide to rob a bank. Well, okay, so it’s not the actors literally, but their characters—three struggling New York retirees—plotting the big score. But even in an onscreen world where Michael Caine, Morgan Freeman, and Alan Arkin don’t exist, these guys would have some serious trouble disguising themselves. No mask is going to totally muffle Caine’s imitable cockney accent, Arkin’s cranky bellow, or especially Freeman’s soothing, sonorous voice. Cram the trio onto a perp lineup (or identity parade, as Caine might call it), and witnesses would remember each of them upon syllable one. The actors’ dignity, too, isn’t so easily muffled. They’ve done enough commercial crap over the years, all three of them, to know how to walk away mostly unscathed from a tacky mainstream comedy—hell, even to score a few grace notes between laugh lines. Not that Going In Style doesn’t try to waste their talent. This is a movie that can think of nothing funnier than arranging three Oscar winners in front of a TV to make catty remarks about The Bachelorette. It’s a movie that delights at giving one of its elderly stars the munchies and letting another just say the word “munchies.” In a particularly dopey sequence, the characters attempt a dry-run shoplifting of their local supermarket, just for practice—a set piece that ends with Caine zooming down the street on a motorized cart, throwing groceries at the employee in hot pursuit, while Freeman screams from his perch in the basket. There are probably worse uses of our veteran movie stars. But during a scene like that one, it’s hard to think of any. 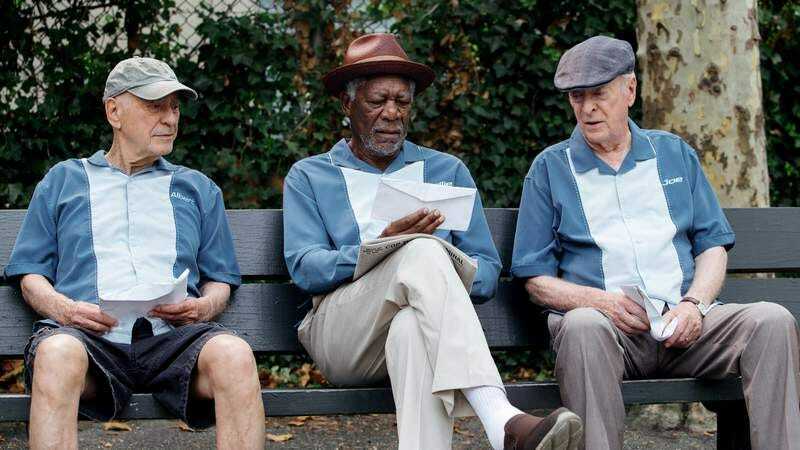 Still, the bar for these kind of old-guys-behaving-badly movies has been set very low. Is it grading on a curve to be pleasantly surprised by the lack of Viagra jokes? As written by Theodore Melfi, of Hidden Figures fame, Going In Style is more terminally mild than crassly stupid. The film is a remake of a minor classic: Martin Brest’s 1979 comedy, starring George Burns, Art Carney, and Lee Strasberg as the bank-robbing geezers. In all ways possible, that was a tougher, richer movie. It had the nerve to actually confront its characters with their own mortality, and to present their turn to crime as an escape from the boredom and loneliness of their retirement-community lives. The new Going In Style bends over backwards to justify the old dodgers’ scheme, pitting the three against the villainous bank that’s pilfered their pensions. Melfi also supplies his budding thieves with their own tidy subplots: Joe (Caine) trying to save the home he shares with his daughter and plucky granddaughter (Joey King); Willie (Freeman) concealing a dire medical diagnosis; Albert (Arkin) entertaining the advances of an admirer (Ann-Margret, back in the business of romancing grumpy old men). It’s probably worth noting that the whippersnapper behind the camera is none other than one-time sitcom star and indie darling Zach Braff. Did he owe someone a favor, or is this his attempt to break into the studio system he scorned with his last feature, the gooey Kickstarted passion project Wish I Was Here? Anyone looking for Garden State echoes will have to suffice with a couple of conspicuous needle drops and a few ostentatious tricks during the heist-planning montage. Otherwise, Braff is working for hire, anonymously delivering the mugging cameos (Kenan Thompson; an overbearingly over-the-top Josh Pais) while lining up the usual platitudes about only being as old as you feel. Here and there, the actors manage some real acting, illuminating the melancholy inherent to the original and deliberately marginalized here, lest anyone accidentally think about death while watching a movie about septuagenarians planning one last hurrah. Maybe seeing these aging headliners talk about their age carries an automatic power. Or is that just grading on the Last Vegas curve again?